Welcome to Cheerico Macaron Stand! This 5 Tier Square Cupcake Stand can be used as 5 tier or smaller tier. It is specially designed so it can be used as smaller cupcake stand. All tier can be used as top tier or bottom tier. This stand will hold around 65 cupcakes. # 1st,2nd,3rd,4th tier is 4mm(0.16") thick, 5th tier is 5mm(0.2") thick . 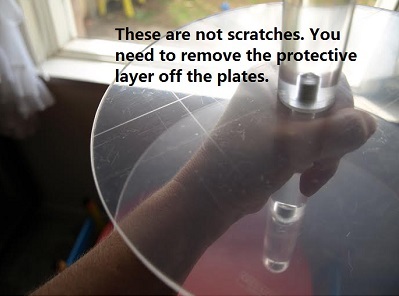 There is no need for glue or other fixings. The edges of the acrylic are perfectly clear and polished. Can be taken apart, washed and stored away for another time. The stand comes flat packed and only takes a few minutes to assemble. We base our numbers on using a 50mm(1.9") diameter cupcake for our Square range. Assembly Instructions: very simple and quick to assemble. Simply fasten each screw to the corresponding rod, there is no need for glue or other fixings/hardware. . The four small round plastic feet are included, and you can mix the plates as any plate can be used as top or bottom tier. PLEASE NOTE: You must remove the manufacturers’ protective cover before assembling this product. This covering is clear bubble and cling wrap on both sides of every acrylic component. Parts: Acrylic discs, head screws, double screws, acrylic rods and acrylic feet. * Remove the manufacturer’s protective cover from BOTH side of each acrylic component. * Begin by placing the feet to the underside of the bottom disc ensuring they are evenly spaced. * Carefully line up the hole(s) of the largest disk with head screw ensuring the disc is resting securely on the acrylic feet. * Now screw the first rod onto the screw thread of the head screw making sure the acrylic disc is clamped firmly between two components. * Continue by placing the next largest disc on to the screw thread of rod and tighten each piece as you go. * The final rod is to be used as the supposed for the top tier and the stand is completed by adding the other screw cap into the top. 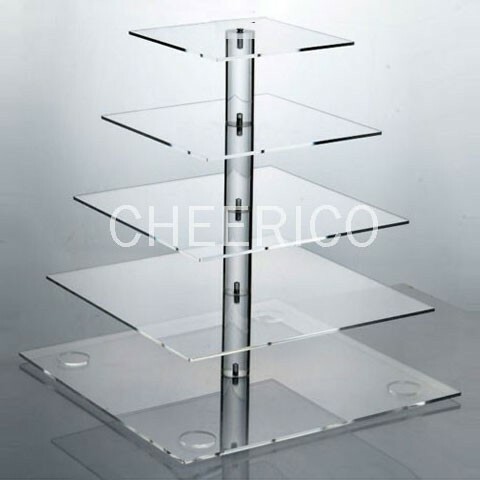 * The stand is made from acrylic which will scratch if it is not looked after properly. * To clean the product use warm water with a little washing-up liquid and soft cloth. * Do not use any abrasive cleaning products as they will make the acrylic. Want to pay with Credit Card? 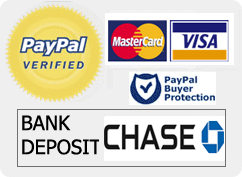 Choose Paypal as payment method at the checkout if you would like to pay with credit card. P/s:You do not need to create Paypal account.